Kim and his wife, a former singer herself, came to watch Sunday's show, making him the first leader of the North to attend a concert by South Korean performers. Kim took photos with the stars backstage, saying inter-Korean cultural events should be held more often. North Korean leader Kim Jong Un smiled, clapped and said he was "deeply moved" by a rare performance by South Korean K-pop stars in Pyongyang, state media reported Monday. The high profile appearance of Kim and his wife, former singer Ri Sol Ju, at the concert was unusual as his authoritarian regime typically struggles to prevent any infiltration of the South's pop culture among his isolated people. 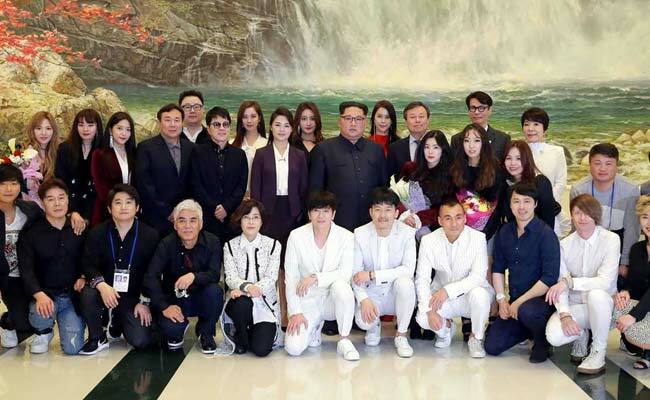 Kim, the first North Korean leader ever to attend a show by entertainers from the South, shook hands with the performers and "expressed his deep thanks to them," the North's official KCNA news agency reported. "He said that he was deeply moved to see our people sincerely acclaiming the performance, deepening the understanding of the popular art of the South's side," KCNA said. The visit by the South's entertainers, seen as part of a cultural charm offensive by Seoul, comes as a diplomatic thaw gathers pace on the peninsula ahead of a landmark inter-Korean summit later this month. Kim said he was likely to be busy "because of his complicated political program early in April," so he was glad to make it to the concert which he credited with bringing the "spring of peace". The 120-member South Korean group -- 11 musical acts as well as dancers, technicians and martial artists -- gave one concert on Sunday with another set for Tuesday. 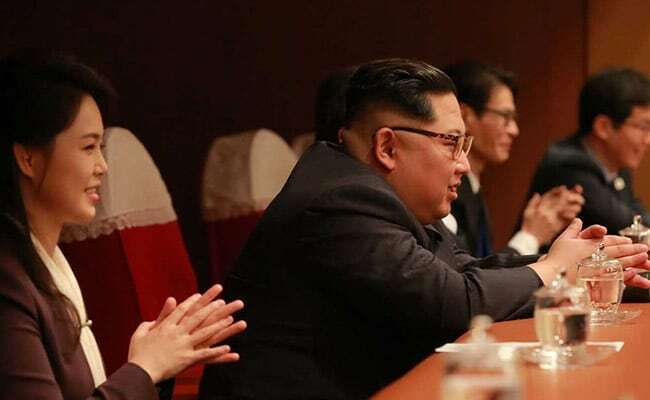 Kim and his wife were seen clapping their hands during the two-hour Sunday event, which was also attended by Kim's younger sister, Kim Yo Jong, and the North's ceremonial head of state Kim Yong Nam. The concert at the elaborately decorated 1,500-seat East Pyongyang Grand Theatre ended with a standing ovation by the packed audience after a finale featuring all the stars singing a song about unification. One of the most closely watched acts was Red Velvet, part of the South's hugely popular K-pop phenomenon that has taken audiences in Asia and beyond by storm. Even leader Kim acknowledged that there had been "so much interest in whether I'd come to see Red Velvet or not". The five-member girlband -- known for its signature K-pop mix of upbeat electronic music and high-voltage choreography -- performed two of their hits, "Bad Boy" and "Red Flavour". "The North's audience applauded our performance much louder than we expected and even sang along to our songs... it was a big relief," band member Yeri told reporters. The ongoing rapprochement was triggered by the South's Winter Olympics, to which the North's leader Kim Jong Un sent athletes, cheerleaders and his sister as an envoy. Kim followed up by agreeing to a summit with South Korean President Moon Jae-in, and offering a face-to-face meet with US President Donald Trump. Kim also met Chinese President Xi Jinping in Beijing last week during his first overseas trip. The inter-Korean summit, the third such event after meetings in 2000 and 2007, will be held on April 27. No date has been set for the US-North Korean summit although it is expected before the end of May.